Manhattan Prep GMAT– save up to 10% off Manhattan Prep’s fees for online or live classes. Admissionado– offers 1 school free (on the Junior Deluxe or Deluxe level) when you sign up for 3 or more. Empower GMAT– Currently offering a 15% discount for the first month of the month-to-month option, or free Official Exam Packs 1 and 2 ($100 worth of official practice exams). The Economist GMAT– save up to $200 on any online GMAT course you buy from The Economist. Veritas GMAT Prep– save $100 off any online GMAT course. Below are some mistakes students make on their college applications that really hurt their chances of being accepted at their top schools. 1. Starting too late- give yourself plenty of time to develop your unique story, it make takes months to do so! 2. Being generic- your essay should tell the admissions committee something unique about who you are and what you’ll bring to the campus that the rest of your application doesn’t. 6. Acting aloof- visit schools, talk to professors and speak with students in programs or organization you may want to join so that you can discuss in your supplemental essays. 7. 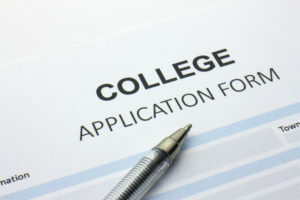 Skipping the optional essay- don’t let this opportunity slip by as your chance to show all the research you’ve done on the school and why you’re a perfect fit. If you’ve recently completed your college education, or even if you left school without obtaining a degree, you may now be required to repay financial aid that you were awarded, such as your student loans. If you’re thinking of strategic ways to lower your debts faster, one option is to get your job to forgive or pay off your student loans. Today, it is estimated that more than 40 million people in the U.S. are saddled with student loan debt, with an average loan balance of more than $35,000. And, due to the continuously rising cost of higher education, each year, a new class of students will be in even more debt than the last. Having this type of debt obligation when just starting out in the working world can make it difficult to get ahead financially. The good news is that there may be a way to reduce, or even eliminate, your student loan balance by going into certain fields of employment. Here is a list of jobs that forgive or pay off student loans. If you opt to go to work for the government, you could have your student loan forgiven after 120 monthly loan payments, or 10 years, as a part of the Public Service Loan Forgiveness. This program is open to federal, state, and local government agency employees, regardless of your title or authority. The agency is allowed to pay up to $10,000 per year for federally-insured loans, but the total assistance cannot exceed $60,000 per employee. One example includes student loan forgiveness for lawyers from the Department of Justice via the Attorney Student Loan Repayment Program (ASLRP). If you have a Perkins Loan, then you may be able to have all of this debt forgiven if you serve in a hostile zone as a member of the military. There are other professions that can qualify for this type of loan forgiveness, including law enforcement and corrections officers, public defenders, firefighters, nurses, EMTs (emergency medical technicians), and social workers who work with families in high-risk or low-income areas. Certain areas of the teaching profession may also qualify for student loan forgiveness. Based on the Education Department’s guidelines, a teacher who has a Federal Perkins Loan may get all of their balance forgiven if he or she teaches for five consecutive years in a public school that serves low-income families. Eligibility also extends to teachers who specialize in math, science, special education, foreign language, or bilingual education. You could also qualify if you teach in an area where there is a shortage of teachers. As a teacher, you can get up to $17,500 of your student loan forgiven if you teach for five consecutive years in a federally designated low-income secondary institution and you teach either science or math. Up to $17,500 in student loan forgiveness could also be available to you if you work for five years at either a low-income elementary or secondary school as a special education teacher. In other cases, up to $5,000 in loan forgiveness could be available to other public elementary or secondary school teachers, provided that your school qualifies for these funds under Title l of the Elementary and Secondary Education Act of 1965, and that at least 30% of the school’s students qualify for Title l Services and are on the Teacher Cancellation Low Income Directory that is put out by the Education Department. If you work for a non-profit organization that qualifies for tax-exempt status by the Internal Revenue Service and is not a partisan political entity or a labor union, you could also obtain loan forgiveness. It is important to note, though, that any time you spend on worship services, religious instruction, or any type of proselytizing will not count. There are also certain volunteer organizations that could allow you to qualify for up to 70% forgiveness of your Federal Perkins Loan. For instance, going into the Peace Corps, AmeriCorps or Volunteers in Service to America (VISTA) will qualify. Depending on your state of residence, certain jobs and job categories may help you to pay off or reduce your student loan balance. For instance, if you are a dentist in the state of Kansas, you may be able to receive up to $30,000 per year for two years. Likewise, if you are a large animal veterinarian in the state of Minnesota, you could receive $15,000 for five years of work. There are also instances where your actual job category may not even matter, as long as you reside in a certain area. For example, simply moving to Niagara Falls, New York could qualify you for $7,000 over two years. While you may have a large financial burden on your plate in terms of student debt, what you choose to do after college and where you plan to do it could end up saving you a lot of time and money in payments. By finding a job that pays off your student loans faster, you can free up funds that can then be used towards a down payment on a home and for investing for your future. Paying off student loans isn’t fun, especially when you consider how much interest you are paying over the term of your loan. But what if there was a way to pay off your student loans faster and become debt-free earlier in life? Below, you’ll learn about the smartest and best ways to pay off student loans quickly. If you are bogged down with student loan debt, you may feel as if you will never get out from under your obligations. By having this extra payment (or multiple student loan repayments) to make each and every month, you might also feel like this debt is keeping you from doing other things with your money, such as investing or saving for a home. The good news is that there is light at the end of the tunnel. By taking advantage of certain student loan repayment strategies, just about anyone can pay off student loans faster and become debt-free. From taking advantage of loan forgiveness programs to refinancing to paying more than the minimum payment more often than once a month, these tips will help you become debt-free before your 30s and 40s. You can even combine several of these money tips to further accelerate your payoff. When successful people are asked how they accomplish great things, many will say that they first visualized what they wanted to achieve. In ridding yourself of your student debt, one of the first and best strategies is to envision what your future will be like when your student loans have been paid off. For example, what would you be able to do once your student loans have been paid off? Would you start saving for a new home? Take more vacations? Start investing for retirement? Although visualization is not technically a repayment strategy per se, doing so on a regular basis will provide you with the motivation to follow through on doing whatever you need to do in order to get your student loan(s) paid off faster. If you have a goal to look forward to, you will be more disciplined in reaching it. If you have a federal student loan, then you may be able to have some or all of the balance “forgiven” by taking advantage of student loan forgiveness programs. In order to do so, you will need to work in a certain profession or live in a certain area of the country. For instance, if you are employed at a federal agency for at least three years, you may be eligible to receive up to $10,000 per year on your federally-insured student loan – up to a total of $60,000. Who Qualifies For Loan Forgiveness Programs? There are also public service jobs that will allow you to cancel your Federal Perkins Loan. Just some of those graduates who can qualify in this area include law enforcement and corrections officers, family and child services employees, and public defenders. If you are a public servant who has a loan that is other than a Perkins loan, then you may be able to obtain forgiveness of your student debt via the Public Service Loan Forgiveness Program, or PSLF. This program is available to any government employees – federal, state, and local – as well as those who work for tax-exempt entities or for-profit institutions with a qualifying service. It is important to note that if you want to qualify for the Public Service Loan Forgiveness program, you will have to make a minimum of 120 qualifying monthly payments on your student loan, or basically ten years’ worth of payments, and your loan must not be in default. You may also be able to have your student loan reduced or possibly even eliminated altogether by simply moving to certain areas. For instance, relocating to Niagara Falls, New York could get you up to $7,000 over two years. If your income allows you to do so, you could simply make more than the minimum payment on your student loan (or loans) each month. In this case, you will make the required payment, and then add more money to it. This extra amount will go towards paying down the principal directly, thereby reducing your interest payments in the future. Even small additional amounts of $25 or $50 per month can save you hundreds or thousands of dollars in interest costs over time. You may be able to obtain a discount on your monthly student loan payment by signing up for the automatic debit option. There are many types of loans – including student debt – that will reduce your interest rate by a quarter or half percent when your payment is automatically deducted from your bank account each month. Rather than just making monthly student loan payments, if your income allows for it, make a payment every two weeks. In this case, you don’t necessarily have to make the full amount of the payment each time – although if you do, you will really be able to see results more quickly. However, even if you just simply split your regular monthly payment in half, and then pay that amount every two weeks, you will end up with an additional full payment every year. This is because you will have made the equivalent of 13 months of payments over the 52-week period of time. Ultimately, the other benefit of this is that your payments are more quickly applied and your interest expense is reduced. This is one of the easiest ways to get rid of student loan debt fast without actually making any changes to your lifestyle or habits. Depending on the type of student loan debt you have, you may be eligible for student loan consolidation. This is a process in which students take multiple loans with different terms and payment schedules and combine them into just one loan with one easy monthly payment. Furthermore, this payment may be lower than what you were cumulatively paying with the multiple loans because you may be given better terms and conditions. With a lower payment amount, you may then be able to add additional funds to the monthly amount that you send in – allowing faster payoff. Similar to consolidation, you may also be able to refinance your student loans. Companies like CedarEdLending work with students to research and find lenders who can offer lower interest rates and better terms. If your current student debt is too expensive and you have good credit, refinancing your loans can make paying them off faster and easier to accomplish. If you are working full-time and are limited by the amount of money that you can put towards paying off your student loan(s), you could take on either another part-time job, do some freelance work, or start a small side-hustle. By checking job sites for part-time work, you will likely be able to find something relatively quickly. You could also check the postings on Craigslist, in either the jobs or the gigs section, for short-term or part-time positions. You could also consider making additional income as an Uber driver. Here, you will be able to determine your own work schedule, while at the same time earning money by simply driving people to the places you and they need to go. If you would rather work from home and set your own hours, getting freelance assignments through websites like Upwork or Guru can be lucrative. And, because you can set your own schedule, you won’t be locked into certain days and times that you need to be somewhere. You may be able to come up with some extra cash by selling unwanted or unneeded items that you have. For example, by going through your closet, basement, or attic, you might be surprised at what you’ve been keeping stored and what may be worth some money to someone else. Likewise, if you have a gift card in your wallet that you aren’t likely to use, these can be sold online for cash. Or, if you have access to a Coinstar Exchange, you can receive instant cash for cards that are valued at $20 or more. If you have an old cell phone, tablet, or MP3 player that is just sitting in a drawer somewhere, these too could be worth some money on Gazelle or Swappa. The Internet has made getting rid of items for cash fairly easy. Using websites like eBay or Craigslist, you can quickly list your items for sale, and have the cash in hand within days. While it may seem like you are taking from one pocket to put into another, you could consider borrowing the needed funds from yourself in order to pay off your student loans. In this case, if you are enrolled in a retirement plan such as a 401(k) through your employer, you could obtain money from your account. While not all employers will allow loans from their 401(k) plans, if yours does, you are typically allowed to borrow up to half of your total account balance, up to $50,000. And, you will have five years in which to pay it back. 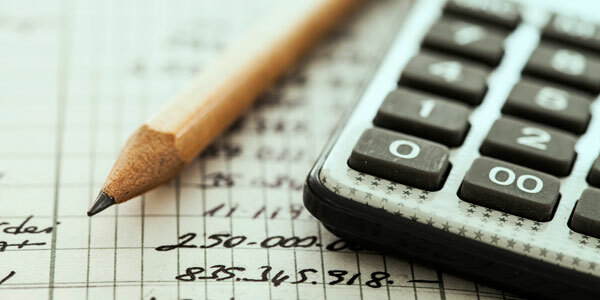 It is important to note in this case that if you do not make any re-payments for 90 days, the funds that you have borrowed from your retirement plan will then be considered taxable income. Also, if you leave your employer, you will usually need to repay the loan within a shorter period of time. Similarly, if you have a permanent life insurance policy, you could consider borrowing the needed funds from there. Permanent life insurance is the type of coverage that provides both death benefit protection and a cash value build-up. Should there be an ample amount of cash in the policy, this could be used for paying off your student loans. The repayments that you then make to your life insurance policy will usually have a low rate of interest – and, if you do not end up paying back these funds, the amount of the unpaid balance will be deducted from the death benefit that your beneficiary receives. Throughout each year, you may receive a nice lump sum of cash. For example, you may be eligible to obtain a refund on your taxes. You may also receive a quarterly or an annual bonus from your employer. If this is the case, then you may consider using that cash windfall towards paying down your student loan debt. This can be so much more beneficial than going out and spending the money on something frivolous. Moreover, by paying off your student loan faster, you will be able to use future cash windfalls on other wealth-building opportunities. The same holds true if you receive a pay raise at work. If you are used to netting a certain amount of money each month and you are comfortably able to pay all your bills, then by applying the additional income to your student loan, you will be able to pay it off more quickly. If you can reduce your monthly living expenses, even just temporarily, then you could apply what you have saved to your student loan. For instance, you may be able to go with a lower cost monthly plan on your cell phone or cable package. You can also save money each day by taking your lunch to work instead of eating out. The same goes for making dinner at home rather than going to a restaurant. You should also take a look at your insurance policies, namely car, home, renter’s, and life. With car insurance, you may be able to lower your monthly or annual premium by either reducing the amount of coverage that you carry or raising the amount of your deductible. If you really want to make headway, you may even be able to move to a less expensive apartment or find a roommate to help you share expenses. In doing so, you are likely to save hundreds of dollars each month that could instead be applied to your student loan payoff. Although your financial situation with student loans may seem impossible and frustrating at first, by settling on some of the above strategies and remaining focused on your goal, you can rid yourself of your student debt obligations faster than you think. Contact us to learn more about your student loan consolidation and refinancing options. After filling out the FAFSA and getting your estimated award, do you ever wonder if you have to pay back your financial aid? And if so, how much of your student aid will have to be paid back? If you are a current or former college student, then it’s likely that you may have received at least some amount of financial aid to help you pay for your education. With the high cost of a college education today, financial aid can be a necessity for many people, as it can allow you to go to a university that you may not have otherwise been able to afford. And, in some cases, it may even make the difference between being able to attend a college or university at all. 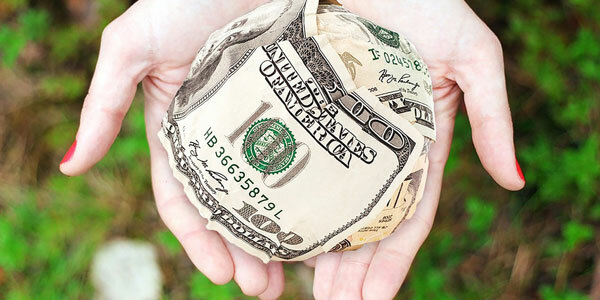 There are a number of different sources of financial aid. These can include the federal government, state governments, private lenders, and even colleges and universities themselves. In qualifying for many types of financial aid, you will need to complete a FAFSA (Free Application for Federal Student Aid) form. By doing so, you can gain access to federal student loans, grants, scholarships, and work-study programs. Some of these financial aid sources will be provided without the need to repay the provider, while others will require payment. With that in mind, if or when you qualify for financial aid, it is important to understand what your future obligation will be. When it comes to your repayment responsibilities, there are essentially three main categories from which student aid comes from. The amount of money that you will be required to pay back – if any – will depend in large part from where you receive the funds. A scholarship is considered to be a type of gift that does not have to be paid back. These financial vehicles can be awarded by any number of entities, including colleges and universities, private companies, non-profits, religious organizations, employers, and individuals. Being awarded a scholarship typically means that you have met certain criteria, such as having good grades, being an exceptional athlete, or being a member of a certain organization. While you do not need to repay your scholarship funds, in order to remain eligible for this money over time, you will usually need to maintain certain requirements, such as maintaining a certain GPA. 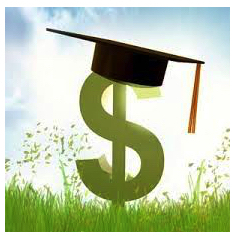 Obtaining a scholarship can be more difficult than getting a student loan. In most cases, you will need to find and apply for scholarships that you are interested in and beat other applicants. However, if you are awarded scholarship funds, it could mean that you won’t have to borrow money – or at least as much money – for attending your college or university. -Enter Easy Scholarships, for seamless scholarship matching opportunities. – For those of you who have taken the GMAT, just Rate &Review your GMAT Test Prep Company to enter. A grant can also be a form of student aid that is not required to be paid back – at least in most instances. There are many different grants that students can qualify for but most are need-based, meaning your family’s income dictates your need for financial support. Grants are often available from the federal government (FAFSA), non-profit organizations and schools, with the most commonly-known grants being Federal Pell Grants, Federal Supplemental Educational Opportunity Grants (FSEOG), and Teacher Education Assistance for College and Higher Education (TEACH) Grants. One of the few times a grant would need to be repaid is if a student withdraws or is expelled from school prior to completing the semester. If your grant comes with any special terms and conditions, be sure to read them carefully before accepting. It may be more difficult to obtain a grant than to receive a student loan; however, qualifying for a grant could end up saving you a great deal of time and money in loan repayment. Student loans can also be received via numerous different sources. These include the government (federal and state) and private lenders, as well as from private individuals and institutions. If you obtain a student loan, it is likely that you will not only have to pay it back, but you must repay it with interest. This is the case even if you do not obtain a degree and whether or not you are able to secure employment upon leaving school. However, keep in mind that you may be able to get on a repayment plan that fits your specific financial needs. Qualifying for a federal student loan is based on need, whereas private lenders mostly look at your credit-worthiness. In cases of no credit history, private lenders will require a cosigner. Because this type of student financial aid is generally much easier to qualify for than a scholarship or a grant, many people will automatically apply for this type of aid first, without looking into other forms of assistance. If you are a recent graduate and believe your student loans are carrying interest rates that are too high, you may want to consider refinancing. You can can also check your new rate by using the refinance calculator and/or by doing a soft credit pull to check if you are approved and what your new monthly payment would be.. If you are still in the process of applying for student financial aid, there are some important steps that you should take in the process. Doing so could potentially end up saving you thousands of dollars in student debt, as well as many years of loan repayment. For example, be sure to apply for scholarships and grants, even if you think that you may not qualify. You could find that you will be able to obtain this type of aid, and can therefore relieve yourself of a long line of future student debt. If you are now out of college, but you have a large amount of student loan(s) to repay, you may be able to refinance this debt. By going this route, a lower interest rate and / or a longer repayment period could allow you some relief by way of a lower monthly payment. Because of the variety of federal and private student loans available, finding the best student loan interest rates can be confusing. This is further compounded by the need to compare fixed and variable interest rates. 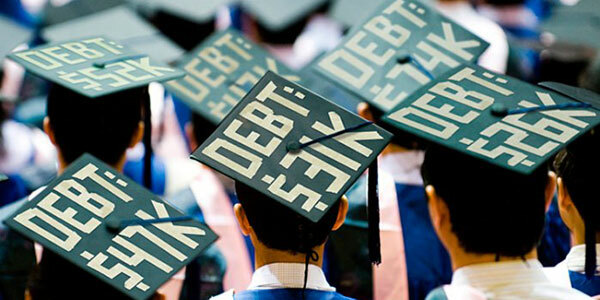 Today, millions of people are saddled with student loan debt – a burden that can literally follow you around for the remainder of your lifetime if you are unable to pay back these borrowed funds in a timely manner. One of the biggest reasons why this debt in particular can be so burdensome is because many people accept the interest on student loans, as well as the other loan terms, without question upon origination. Then, when it comes time to repay these funds, indebted college students experience financial hardship and the inability to make payments. Here’s some background information on private and federal student loan interest rates, including the average rate in the industry, to help you find the lowest cost student debt for your education. Contrary to what some borrowers may believe, it is not the loan servicer that sets the interest rate on student loans – at least not the Federal Direct Loans. Nor can the loan servicer make changes to these student loan interest rates. 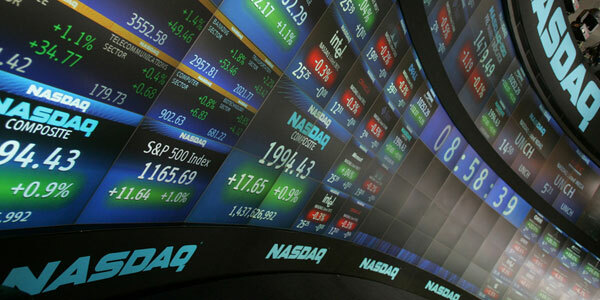 Rather, it is the U.S. Congress that sets the interest rates on the Direct Loans from the United States Department of Education via legislation that actually ties the interest rate to financial markets. The average interest rate on student loans (for Federal Direct Student Loans with a first disbursement date between July 1, 2016 and June 30, 2017) will vary based on the type of student loan that you are applying for. Because private lenders can set their own rates according to their underwriting standards, the average student loan interest rate for private lenders varies greatly. Private student loans tend to have higher interest rates than federal loans, with the industry average between 9% and 12%. In addition to the interest rate depending on the lender, choosing a fixed or variable rate will affect your interest payments in the future. The rates can also be based on whether or not you have a cosigner, the amount that you are borrowing, and on the strength of your credit. Can You Change Your Student Loan Interest Rate? When you take out a Federal student loan, the interest rate on that loan is fixed for the life of the loan. That means that you cannot change the interest rate on that particular loan, nor will that rate adjust. You can, however, obtain a lower student loan interest rate by refinancing with a private lender, provided that you qualify. 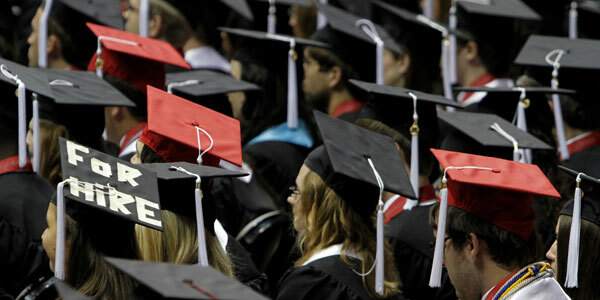 Private student loans may be obtained through banks and other traditional lenders. The interest rates on private student loans can be either fixed or variable. Oftentimes, the fixed rate loans that are offered by private lenders are somewhat competitive with the Federal PLUS loans for parents and undergraduates. In addition to the interest rate that is charged on Federal PLUS loans, however, there is also a loan origination fee that can range between 4.272% and 4.276%, depending on the loan’s first disbursement date. Because of the additional loan origination fee charged for the Federal PLUS loan, it could actually be cheaper in the long run to obtain a private student loan – depending on other factors, such as credit, income, and overall financial stability. Private lenders may also offer student loans with variable interest rates. A variable interest rate will generally fluctuate throughout the lifetime of the loan. Currently, variable interest rates are still sitting at historic lows – and because of that, it may be possible to obtain a rate on a variable rate private loan that is below that of a Federal PLUS loan. However, even though you may be able to obtain a private student loan that comes with a low initial variable interest rate, it is important to be careful, as the rate could rise considerably over time and make your payments unmanageable. This is why is it essential to read over any and all loan information that you receive prior to moving forward with changing and / or obtaining a student loan. This includes loans from both Federal and private sources. Another potential option you may have for lowering your student loan interest rate is to consolidate multiple student loans – especially those student loans with higher rates of interest – into one single private loan with a lower interest rate. If done properly, this can potentially save you a great deal over the life of the loan. If you opt to go this route, you will want to be sure that, while you may be saving money on your monthly payment, the new loan could end up costing you by having a much longer term. With that in mind, make sure that you calculate your total cost of the new consolidation loan as versus what it will cost you to keep your current loans. If it turns out that the new, single loan is cheaper in the short and long run, then you should take steps to move forward with it. Having a good understanding of the interest rates on your student loans can be an important first step in your overall financial success. One reason for this is because the interest rate on student loans is a key determinant of what your monthly amount will be when the time comes to start repaying the balance. Keeping your payment low can help to ensure that you don’t get into financial difficulty right out of the starting gate as you exit college and begin your career. A low interest rate can allow you the ability to pay your student loan off faster – something that all borrowers ideally strive for. Lower student loan payments can also mean the ability to move forward financially with other important endeavors, such as saving for a home and investing for the future. Paying off your student loans early seems like a dream come true. However, while paying off any type of loan early would seem to be ideal, the reality is that there could be some viable reasons to consider waiting before you fully pay off the balance on your student debt. This is because, in some instances, it may actually make more sense to put your money to work in other areas first. There can be strong arguments for either side. So, before you actually pay off your student loans early, be sure that you are aware of which direction is really right for you. And for those of you that it makes sense for, we’ll recommend a few tips on how to pay it off faster. It can be such a great feeling to finally have your student loans paid off. For many recent graduates, this is the only large debt that you currently have. However, if you ever plan on getting a mortgage or other large loans in the future, ridding yourself of your student loan balances can be extremely beneficial. One big factor on the plus side for paying off your student loans is that it can help in lowering your debt to income ratio. What this means is that you will have more income than outgo – which shows up as a positive factor to lenders if you are applying for financing such as a mortgage or a car loan. Having less money going towards your student loan payments means that you can put more towards saving and investing for your future. While retirement may seem like it is eons away, the more you sack away now, the more time it has to grow and compound exponentially over time. 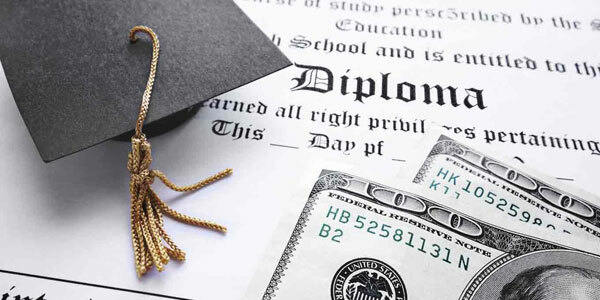 While there are certainly many reasons to rid yourself of student loan debt, there can be some good arguments for hanging on – provided that the payment isn’t detrimental – and moving forward with some additional perks. You may qualify for a tax deduction on the interest that you pay on your student loan. Depending on the situation, you could be able to deduct up to $2,500 in interest each year. This, however, could still be a double-edged sword in that being rid of the debt completely may be the better option. Many financial advisors suggest having a readily available “emergency fund” in case of, well, an emergency. This could include the need for cash for anything from a fender bender to an unexpected period of unemployment. Being able to pull cash from a savings account can be much more beneficial than having to dip into your retirement fund – or worse yet, having to put your emergency expenses on a credit card with 20% (or higher) interest charges. Ideally, your emergency fund should have between three and six months’ worth of living expenses in it. But, when just starting out, any amount can be helpful. Funding this account can be another factor to consider in lieu of putting all of your extra cash towards paying down your student loan balances. While paying your bills is always an important piece of advice, the truth is that you are only young once. So, in some cases, as long as you are able to keep a handle on making your student loan payments, you may not want to over-burden yourself financially by trying to pay off your loans early. In other words, don’t strive so much on just paying off your student loans right now that you neglect to experience and enjoy life as a young adult. Even after jotting down your pro / con list, there are still some additional factors that are important for you to consider when deciding whether or not you should pay off your student loans in full right now. For example, even if you are able to deduct student loan interest on your taxes, it is important to determine just how much the debt is actually costing you each month because of the payment itself. In other words, what is the possible opportunity cost that you may be missing out on? In order to get a better idea of this figure, consider the difference between what you are paying on the loan versus the amount of return that you could be earning on an investment in a certain mutual fund. Because you have a student loan payment to make each month, it could essentially be holding you back from having or doing other things. If you do opt to go the route of paying off your student loans early, there are some strategies that you may want to consider for speeding up the process and crossing this big task off your list. 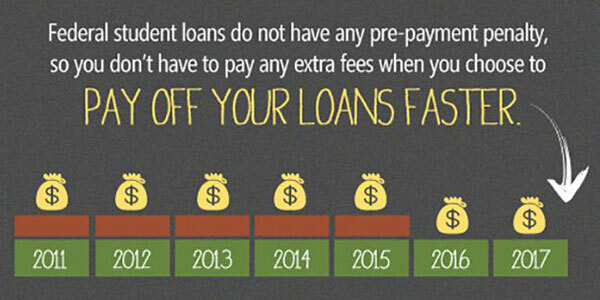 One way to pay off the loans more quickly is to make a higher amount of payment each month. Oftentimes, people will use this same strategy for paying off a mortgage faster. By making the additional payment, you will be paying down your principal more quickly, and potentially cutting years from your total payoff. You may also want to check for possible refinancing options. If there is a way to move the loan over to a lower interest rate option, you might be able to lower your payment and / or the term of the debt. Even if you don’t get all of your student debt paid off in full, it can help to pay more than just the minimum payment each month. This can help you to save on the interest, and it will also result in shortening the overall length of the loan repayment period. If you have more than just one student loan, another potential option could be to consolidate all of your loans into just one. This can provide you with just one simple monthly payment – which may be less than the total of what you were paying previously. If you do decide to go this route, though, be sure that you don’t end up taking on a higher amount of debt overall. This is because sometimes, consolidating multiple loans can result in a lower monthly payment, but it can also mean making payments on the new loan for a much longer period of time.